Inspector Gadget foils the evil plans of Dr. Claw to steal a valuable pearl necklace. This adventure takes Chief Quimby and the Inspector to Hong Kong. Safety Tip: Don't be greedy and overeat. M.A.D. agent, Presto Change-0, impersonated Inspector Gadget at a secret meeting. 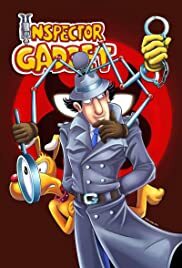 How many episodes of Inspector Gadget have you seen? Penny: Uncle Gadget, are you alright? Q: What earlier cartoon crimefighter was also an incompetent semi-robot? Shows like Inspector Gadget, Dangermouse, Scooby Doo, Looney Tunes, Pink Panther Show, Tom and Jerry, The Flintstones, Darkwing Duck, Talespin, DuckTales, Animaniacs, Pinky and the Brain and Tiny Toons make me realise how much I miss my childhood. 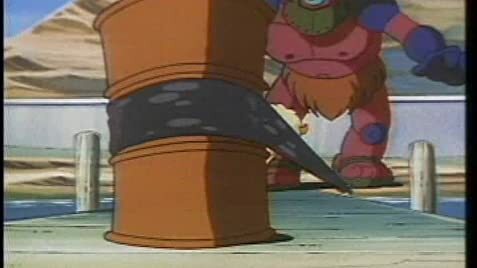 Whenever I see an episode of either of those shows all those warm, nostalgic memories come flooding back. Inspector Gadget is a classic. Forget the movies, which were both quite poor, this show is the real thing. The animation has a great look to it, I loved the designs of the characters and backgrounds and the colours are visually pleasant too. The music alone gives the show its classic status, the theme tune is wonderful. The writing is very consistent in a good way, the stories are always exciting and well-thought out and the pace is spot on.